With the advent of technology, our digital lives may be making us more distracted, drained and distracted. In a new experiment, researchers found that even minor phone use during a meal with friends was enough to make the diners feel distracted and reduced their enjoyment of the experience. Dwyer and his colleagues conducted two studies — a field experiment in a restaurant and a survey. Participants were either asked to keep their phones on the table with the ringer or vibration on or to put their phones on silent and place them in a container on the table during the meal. After eating, the participants filled out a questionnaire detailing their feelings of social connectedness, enjoyment, distraction and boredom, as well as the amount of phone use and what they did on their phones during the meal. The researchers found that people who had their phones easily accessible during the experiment not only used them more than those with their phones put away, but they also reported feeling more distracted and enjoyed the experience less. Participants were surveyed five times a day for one week and were asked to report on how they were feeling and what they had been doing in the 15 minutes before completing the survey. Results showed that people reported feeling more distracted during face-to-face interactions if they had used their smartphone compared with face-to-face interactions where they had not used their smartphone. The students also said they felt less enjoyment and interest in their interaction if they had been on their phone. Co-author of the study, Elizabeth Dunn said, “The survey findings were especially notable because of the negative effects of phone use among university students, who are commonly known as digital natives. We assumed that this generation would be more adept at multi-tasking between using their phones and interacting with others, but we found out even moderate levels of phone use undermined the benefits of engaging with others,” added Dunn. Another study presented in the session found that compassionate people spend less time on social media than people who are more self-centered and narcissistic. In addition, people with lower emotional intelligence, or those who have difficulty identifying, describing and processing their emotions, used social media more often than those who are more in touch with their feelings, according to the study. The studies also asked questions about how frequently participants checked and posted on Facebook, Twitter and Instagram. Conversely, more narcissistic people and those who feel overwhelmed by the emotional experiences of others spent more time on all three social media sites. The full findings were presented in American Psychological Association’s 126th Annual Convention. 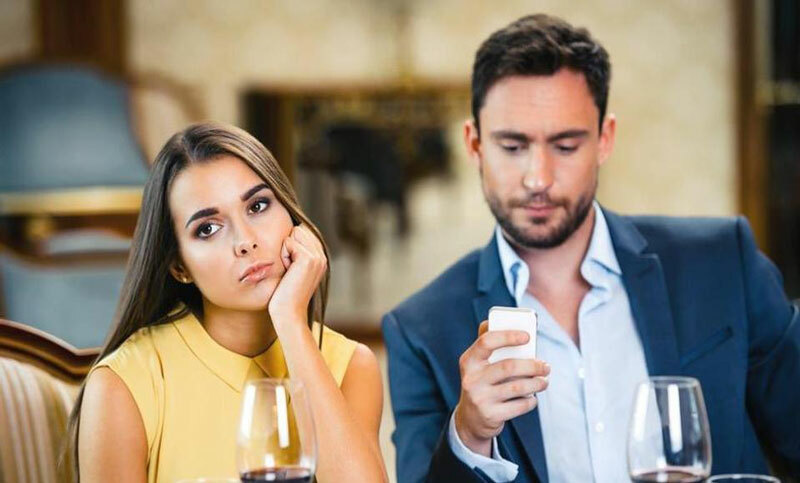 Lead author of the study Ryan Dwyer, said, “People who were allowed to use their phones during dinner had more trouble staying present in the moment.